Kyoto is situated about 2 and quarter hours away from Tokyo by Shinkansen (Bullet train) and about 30 minutes away from Osaka or 75 minutes from Kansai (Osaka´s main airport). Kyoto was the old imperial capital of Japan for over a thousand years from 794 to 1868 and reigned as the cultural and artistic of the Japanese nation a position it still holds even today. 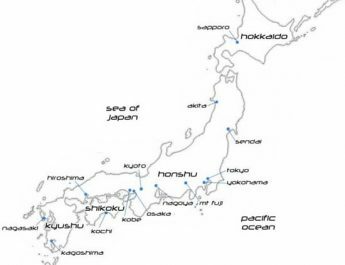 The city was founded by Emperor Kammu and was originally called Heiankyo “Capital of peace” the city is home to 1,600 Buddhist temples and 270 shinto shrines attesting to its importance as a religious center of Japan. Upon arriving in Kyoto you can´t help but notice that this city is not like other cities in Japan such as Tokyo or Osaka. There are very few high rise buildings! 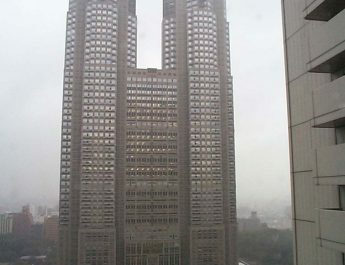 This is due to there once being a covenant on all land in Kyoto that prohibited the building of structures over 10 stories. This however is no longer in force. 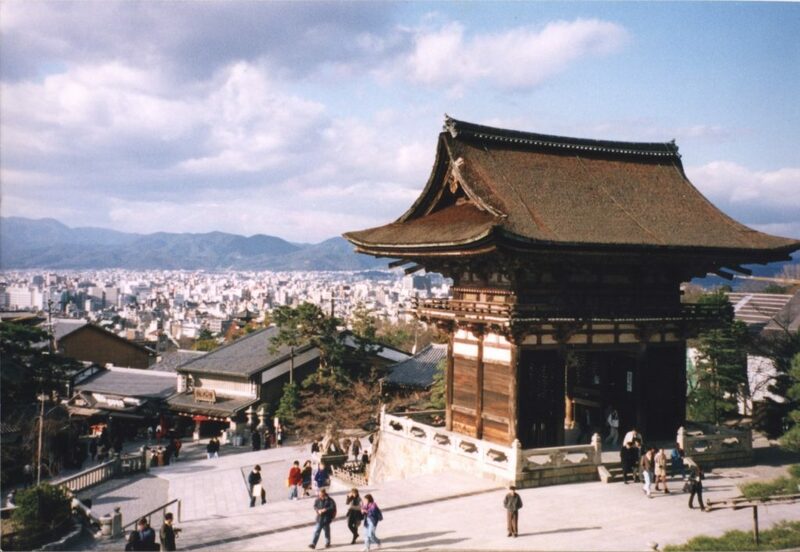 This was originally done so that huge buildings, towering into the city sky, didn´t spoil the views of Kyoto. If you are going to visit Kyoto, to see the temples and shrines. I would first plan which temples you want to visit, give it some research as there are so many nice places. It might be a good idea to visit temples in a specific sector of the city in one go. Travelling around Kyoto is relatively inexpensive, unless you use taxis. All bus journeys are 200 Yen (about £1.15) whilst taxis have a standard charge of 660 yen plus mileage (about £3.75). Taxis can be flagged down or its best to get a taxi outside your hotel. Buses follow specific routes and don´t always stop near the temples or shrines so be prepared for some long walks. The best thing to do though is to check if your hotel has a shuttle service. This is usually to the main train/bus terminal and buses to all locations can be caught here. Shuttle buses are usually free as well. So, which are the best temples to visit? Well, the Kiyomizu-dera (pictured right) is one of the best temples to visit as it has a large temple with lots of smaller temples and Pagodas in the surrounding grounds. The main temple of Kiyomizu-dera has a very large and impressive wooden balcony which holds up about half of the temple, which is built on a hillside. If you are going to visit here you will have to walk up the Ninenzaka which is a street containing lots of traditional crafts and foods. I can recommend the Japanese sweets especially those made from red beans. Also I might suggest that you visit this particular temple around dusk. When the temple is lit up in the evening it brings an added dimension to the temple. You have to see it to understand what I mean. Its beautiful. Also at night you get to see most of Kyoto lit up. If you like gardens then a trip to Ginkaku-Ji is for you. The gardens here are not gardens in the traditional English sense but Japanese gardens, so are actually patterns etched into sand as well as strange shaped cones and towers also made from sand. Very artistic, and very unusual! There are also lots of Japanese flower gardens here. But be warned they have a one way system, which is strictly enforced due to the number of visitors, by a small army of elderly gentlemen with whistles. So make sure you see all you need to see before moving on. 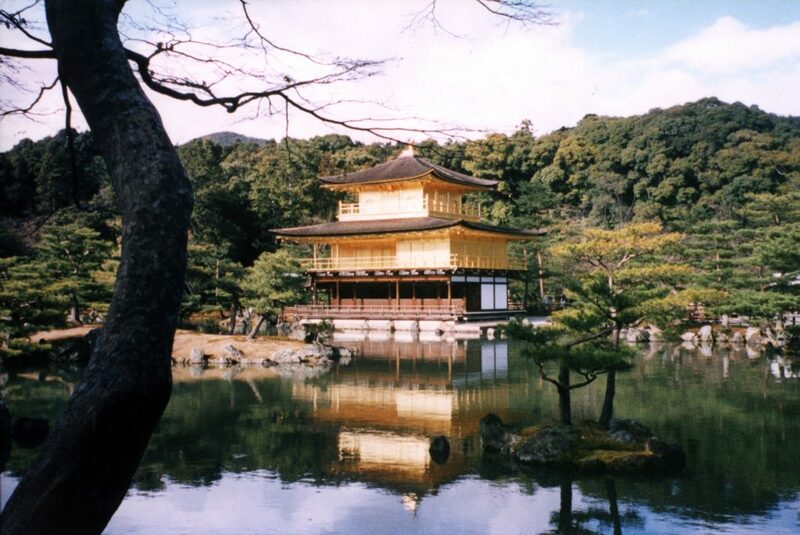 If you want to see something completely different, then visit Kinkaku-ji. Meaning Golden Temple. This is a very strange building in that its completely covered in gold. Gold leaf to be precise. An amazing building which no visit to Kyoto would be complete without. There isn´t a great deal else here apart from the golden temple but believe me it´s worth seeing. It will keep you amazed for quite some time. There are lots of beautiful things to see in Kyoto and it´s worth looking at the guide books before you decide. However there are a few things to be aware of. This usually ends the first week in April. Just in time for Golden week, which is traditionally a Japanese holiday week. Its really several public holidays close to each other, but it´s a time when many Japanese take their holiday. There is also a holiday similair to this in August. Another place to visit in Kyoto which is in complete contrast to the temples and shrines is the Kyoto International Conference Hall, which is located in the North east sector of the city and packed with state of the art technology as well as other attractions. If your going to visit Kyoto, it might be worth looking at the web address below to get a feeling for the city and where you wanna visit. One final note, if your thinking you can do it all in one day, think again. There is too much to see so the longer you take the more of each temple you will see.